Looking for a truly memorable family experience? 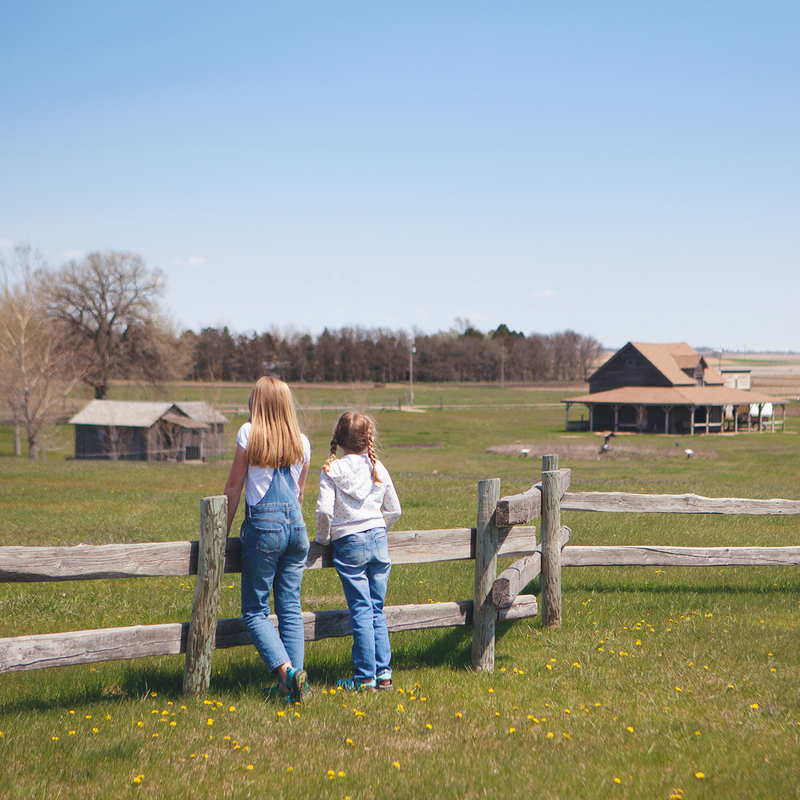 Step back in time at the Ingalls Homestead near De Smet, South Dakota! 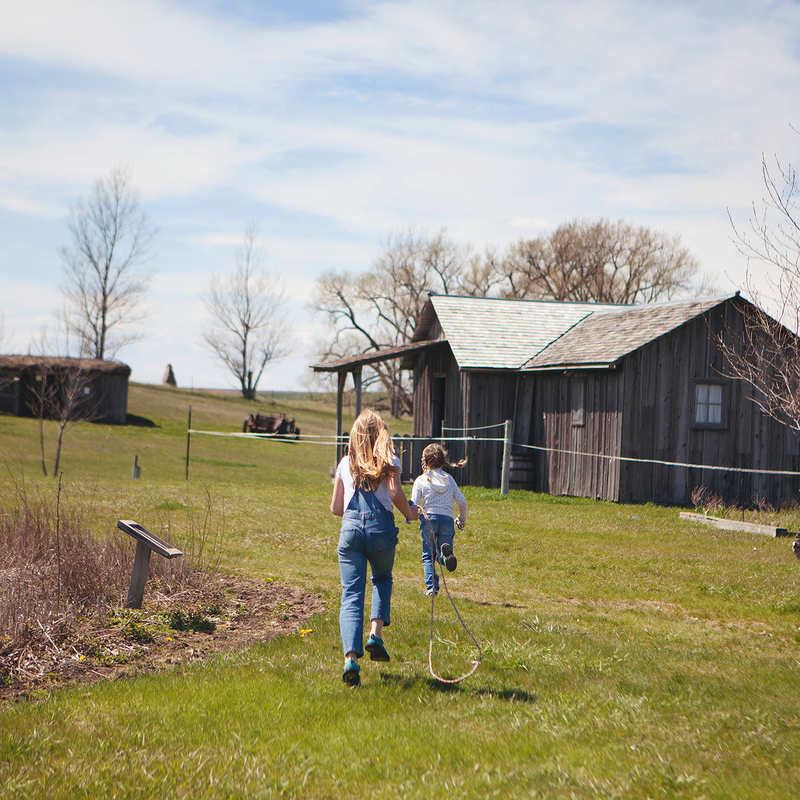 Watch history come to life while exploring the beautiful prairie homestead and learn about the rich pioneer history of the Ingalls family along the way. We’ve partnered with South Dakota Tourism as part of their Good Times Great Places campaign to bring you this post. All opinions are our own. In May we had the chance to visit South Dakota and explore some of the best family-friendly attractions that the state has to offer! One of the most memorable stops on our trip was the Ingalls Homestead. It was such an amazing experience you guys – one the kids and I won’t soon forget! As a child I read all of Laura Ingalls Wilder’s Little House on the Prairie books and I ate up every episode of the 1970’s tv series. Not only do I have fond memories of reading the books myself, I also have fond recollections of enjoying them with my oldest daughter who is now 15. 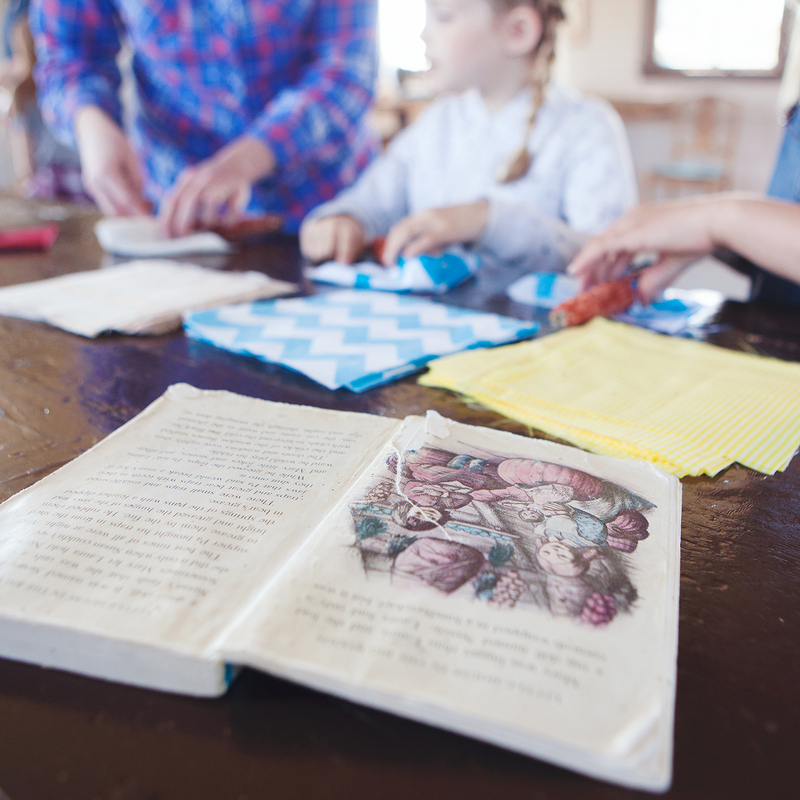 Our connection to Laura Ingalls Wilder’s books is what made this place extra special to us – as it does for many visitors. To see the stories from the books pages come to life at the actual homestead where Laura lived from age 13-18 was magical. Being able to go beyond the books and explore, touch, taste and see for ourselves what life was really like for Laura and her family was unique. My younger daughters hadn’t read the books before our visit to the homestead, but have since been drawn in by Laura’s story and it’s been a joy to start re-reading the Little House on the Prairie books with them. I appreciated how welcoming all of the exhibits at the Ingalls homestead were for children! Their hands-on approach to exploring was very refreshing. The kids were encouraged to look, touch and try out much of what was on display. 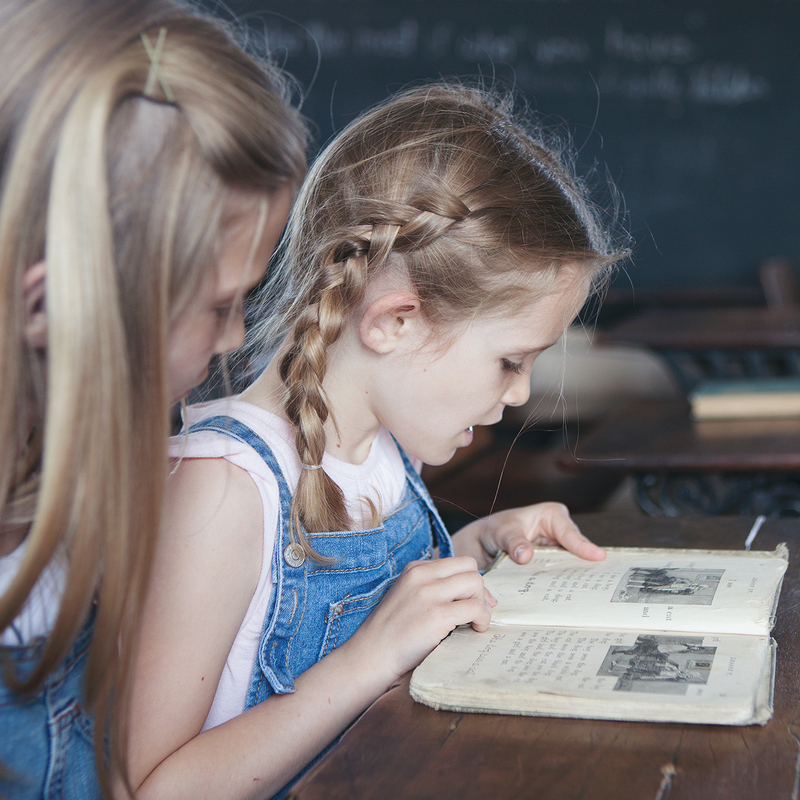 My kids ran through the tall prairie grasses, they tasted old-fashioned candy, they rode in a covered wagon, they played with handmade toys and heard the bell ringing from the one-room school house – all things that Laura experienced herself so many years ago. 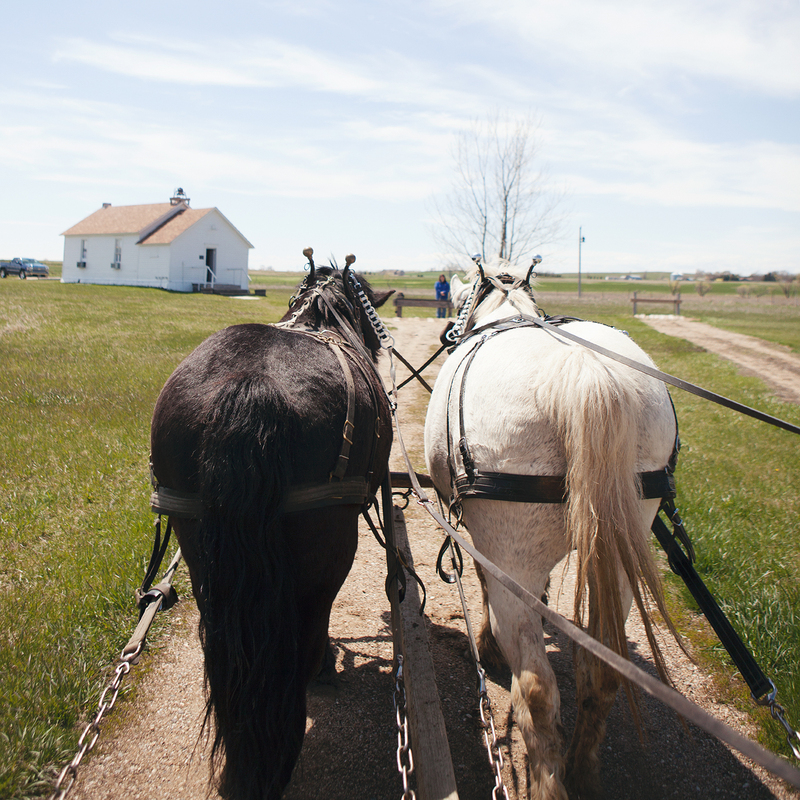 If you visit the Ingalls Homestead here are a few things you need to do while you’re there. My kids were especially thrilled with the wagon ride we got to go on. Each of them got a turn to drive the team of horses. They were on a first name basis with the wagon driver and each of the horses by the time we reached the tiny school house. 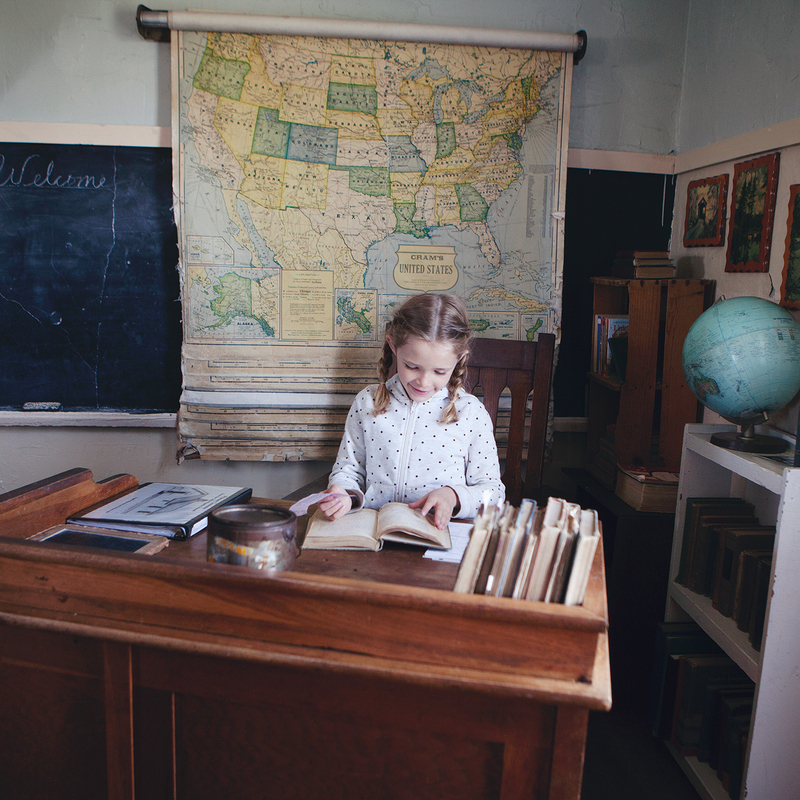 We surprisingly spent a large chunk of our time at the Ingalls Homestead inside the tiny one room schoolhouse. My kids were so interested in learning more about what school was like back in Laura’s day. They had question after question for the staff that were on hand and thoroughly enjoyed looking through the school books, learning about how the kids were taught and ringing the school bell! We had the chance to make our own corncob dolls just like the ones Laura played with. My girls loved doing this! We also learned how they made their own rope from bailers twine. It was neat to be involved in the process. We learned about the struggles Laura’s family experienced during the harsh winter of 1880-1881 and how they survived by twisting hay into tight bricks to burn for fuel. 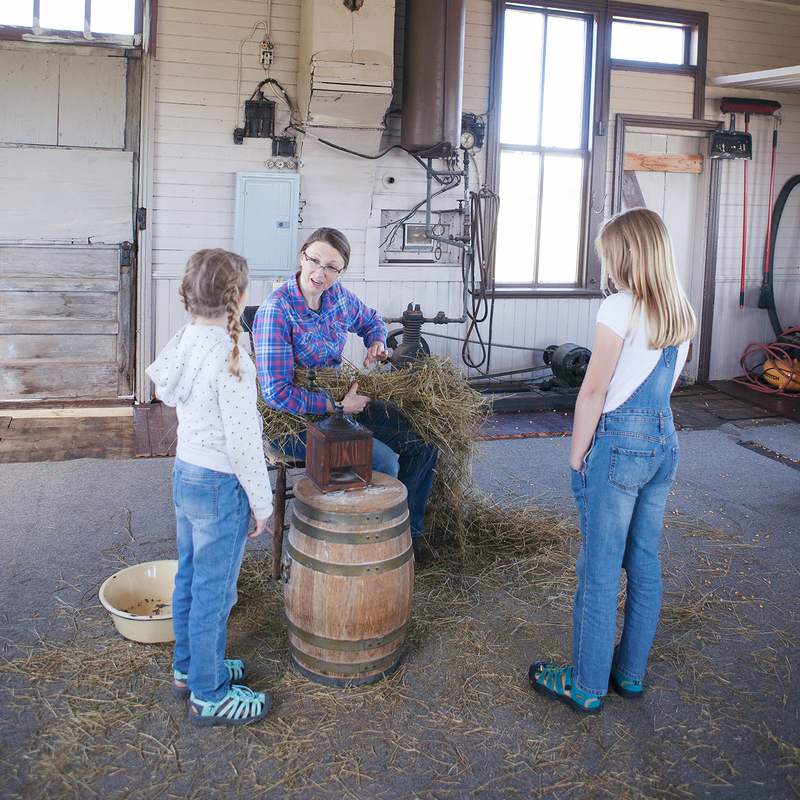 You can try out an old-fashioned washboard and wash clothes just like Laura’s Ma would have done. Wash, rinse, wring out the clothes and then hang them on the line to dry. They even make the lye soap one site at the Ingalls Homestead. We didn’t get the chance to camp at the Ingalls Homestead because of our timeline but I’ve heard it’s an amazing experience and we’d love to do it one day. You can camp in your own tent or RV or even stay the night in a covered wagon! I never would have guessed that of all our stops on our South Dakota road trip the kids would like the Ingalls Homestead the most. I knew that *I* would enjoy it, but it was so special to see how my kids connected with this place. At the homestead, I loved watching the kids get taken in by the smallest details of pioneer life. They ate up every experience and were constantly asking questions. 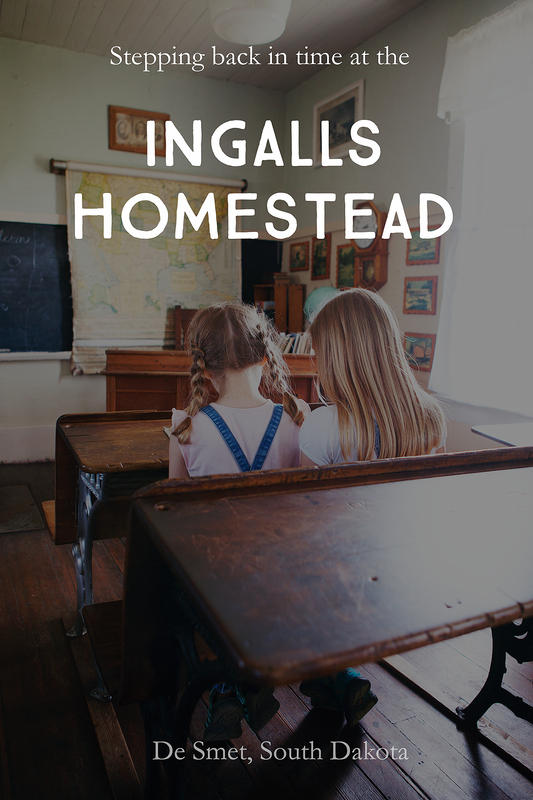 There were so many lessons to take away from our visit to the Ingalls Homestead. 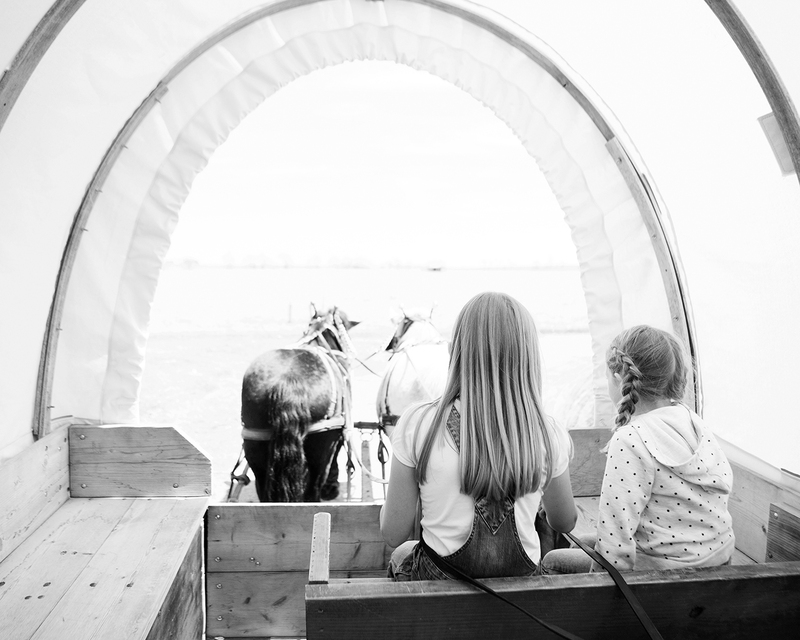 To see first hand what life was like for the early settlers helped my kids gain a new appreciation for the modern conveniences we enjoy and develop empathy for the struggles Laura and her family experienced. You can read the books, you can watch the shows but there’s something about seeing the actual dimensions of that tiny dugout they lived in. Realizing the effort they had to go to to build a fire during an especially hard winter. Touching the books and the slate chalkboards the children used at in the one-room school house. I anticipated we’d be at the Ingalls Homestead for a few hours but we truly could have stayed all day long. By the end of our visit Laura and her family were no longer just characters in a book, they were real-life people who we’d gotten to know and admire. Oh, my gosh, I can’t believe I’ve never been here! Definitely going on the bucket list for sure…love Little House on the Prairie! Thanks for sharing this little virtual tour, I can’t wait to go someday! This is a place we must go to on a family vacation. Thanks for sharing. Loved watching Little House on the Prairie.